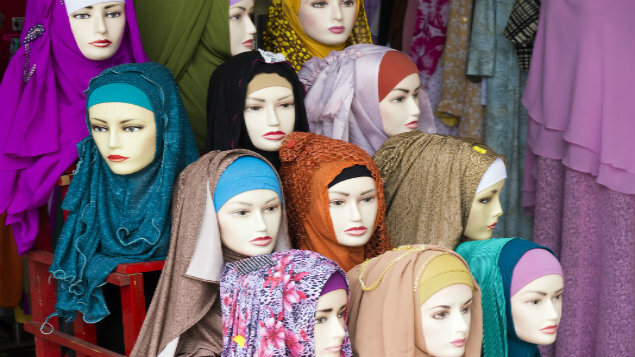 An employer cannot have a blanket ban on religious dress that prevents a Muslim woman from wearing an Islamic headscarf when in contact with clients, an Advocate General for the European Court of Justice (ECJ) has recommended. In French case Bougnaoui and another v Micropole Univers, a Muslim IT engineer who wore an Islamic headscarf was told by her employer to remove it while visiting clients, after a client’s staff complained about her appearance. The French court asked the ECJ whether or not the wish of this customer that a visiting IT engineer not wear an Islamic headscarf could be a “genuine and determining occupational requirement” of the job. Advocate General Eleanor Sharpston, giving her opinion in advance of the full ECJ decision, suggested that employers are committing direct religious discrimination if a Muslim employee is banned from wearing an Islamic headscarf while at work. The Advocate General acknowledged that there are limited circumstances in which a requirement of the job allows an employer to ban an employee from wearing religious apparel. However, she went on to say that these exceptions are rare, and can apply only where a ban on religious dress is “absolutely necessary to undertake the professional activity in question”. Advocate General Sharpston said that the obvious exception would be in relation to health and safety at work. She gave the example of preventing a male Sikh employee who wears a turban from working in a post that requires the wearing of protective headgear. Similarly, a female Muslim employee working on dangerous factory machinery could be prevented from wearing religious attire that could give rise to a serious safety risk. However, the Advocate General could see nothing to suggest that Ms Bougnaoui could not perform her duties as an IT engineer. Indeed, her dismissal letter referred to her professional competence. The Advocate General also considered that a company policy that imposes an entirely neutral dress code is likely to result in indirect discrimination. However, the policy could be justified if it pursues a legitimate aim and is proportionate. For example, a neutral dress-code policy might be in the interests of the employer’s business and therefore constitute a legitimate aim. However, Advocate General Sharpston failed to see how such a policy could be justified in Ms Bougnaoui’s circumstances. The opinion follows hot on the heels of the contradictory opinion of Advocate General Kokott in the similar Belgian case Achbita and another v G4S Secure Solutions NV (delivered on 31 May). In Achbita, a Muslim receptionist in Belgium working on a third party’s premise was told that the wearing of any visible religious symbols was contrary to its rules on neutrality. Her employer introduced a policy banning workers from wearing any visible symbols expressing their political, philosophical or religious beliefs. The Muslim receptionist’s refusal to go to work without a headscarf resulted in her dismissal. The opinion of Advocate General Juliane Kokott in Achbita was that there is no direct religious discrimination in these circumstances, and that indirect religious discrimination could be justified. The Advocate General opinions in Achbita and Bougnaoui have been given in advance of the full ECJ decisions. No date has been set for the publication of the full judgments. It is likely that the ECJ judgments in both cases will be published at the same time. More on the opinion in Bougnaoui and another v Micropole Univers, including analysis of its implications for employers, is available on XpertHR.